Bansko regulars will know that Kempinski Grand Arena Bansko is the landmark hotel located by the gondola lift. It sets an upscale five star offering year round. But first I offer my fond farewell to Carsten Seubert, the outgoing General Manager. Some great times including us skiing together and me, not known to be slow on skis was out paced by his speed on skis. But now it’s time to offer a warm welcome to their new General Manager, Ms Natalia Kashirskaya. Full disclosure: The Kempinski is a sponsor and advertiser in Bansko Blog. This is an extract from their Press Release. 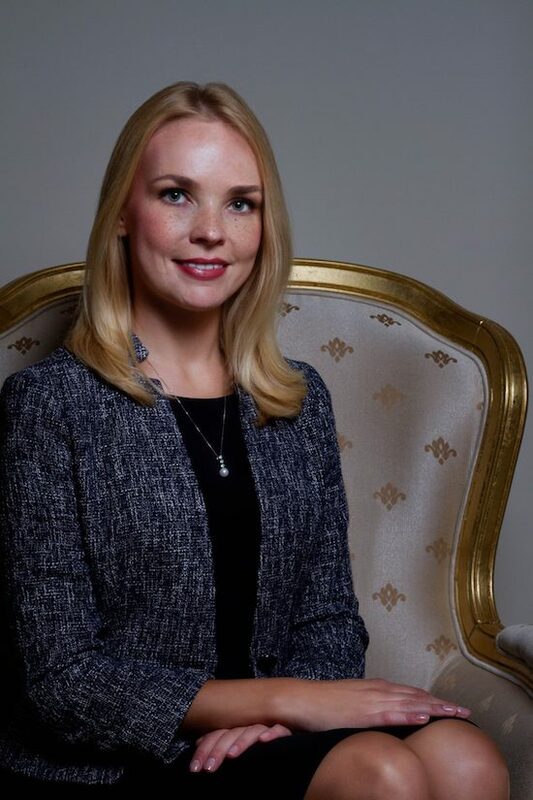 A true hotelier with over twelve years’ experience within the company, she joins Kempinski Hotel Grand Arena Bansko from her most recent role as Hotel Manager of Kempinski Hotel and Residences Palm Jumeirah in Dubai, UAE. Ms Kashirskaya started her career in 2005 at Kempinski Hotel Moika 22 in Saint Petersburg, Russia, where she spent eight years gaining experience in different departments, changing various managerial positions. In 2012, Ms Kashirskaya became the Executive Assistant Manager of Kempinski Hotel Moika 22. The following year she moved to China, where she successfully opened Sunrise Kempinski Hotel and Yanqi Island in Beijing as Hotel Manager. Two years later she spent half a year in Moscow being tasked by Kempinski Head Office as Project Manager in the Russia office, and afterwards four months in Cairo at Royal Maxim Palace Kempinski as a Hotel Manager of task force. Then she moved to Dubai, where she held a Hotel Manager position for one year before moving to Bansko. Ms Kashirskaya holds a Bachelor’s Degree in Economics and a Higher National Diploma in International Management from St. Petersburg State University of Economics and Finance. She is a Russian national and in addition to her mother tongue, she speaks fluent English and French. After almost two and a half years as General Manager of Kempinski Hotel Grand Arena Bansko, Mr Carsten Seubert will go back to his home country and will continue his professional career with Kempinski as Hotel Manager of Hotel Adlon Kempinski Berlin. During his time in Bulgaria, Mr Seubert has continuously fostered the success of Kempinski Hotel Grand Arena Bansko and the hotel has regularly received awards for its quality of service. I aim to interview Natalia once she has settled in to Bansko. In the meantime do download the Bansko App. You remove all the articles, live web cams, lift opening, in-app chat and much more.